This semi flush mount will update your home with its eye-catching design. Featuring a brushed nickel finish and white swirl shade(s), this fixture will accommodate a variety of dicor styles. With its easy installation and low upkeep requirements, this semi flush mount will not disappoint. 1-Light Brushed Nickel Flush Mount with White Swirl Glass - 8 inch This flush mount will update your home with its eye-catching design. Featuring a brushed nickel finish and white swirl shade(s), this fixture will accommodate a variety of dicor styles. With its easy installation and low upkeep requirements, this flush mount will not disappoint. 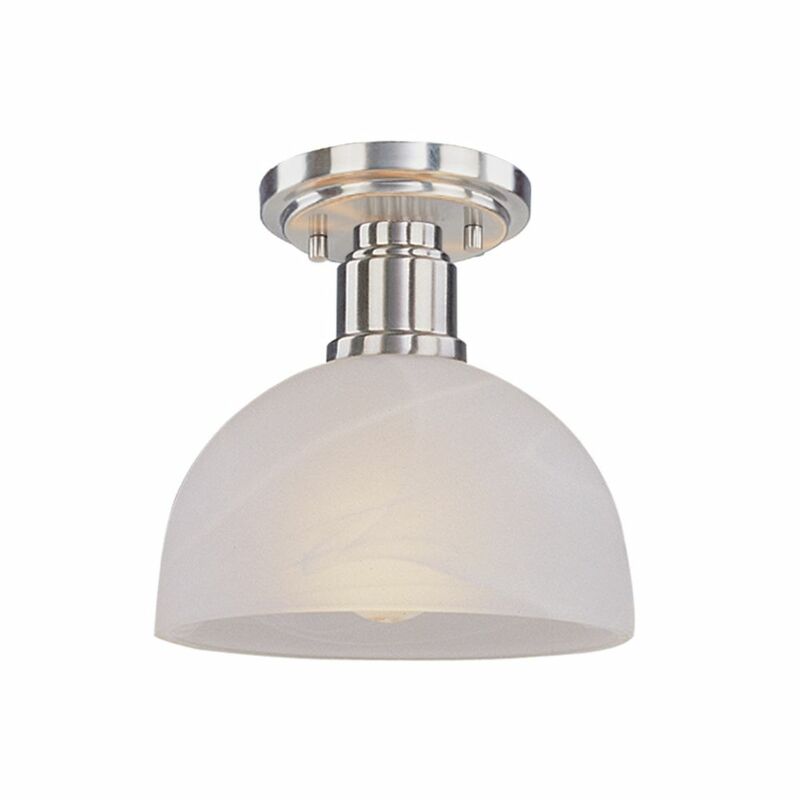 1-Light Brushed Nickel Flush Mount with White Swirl Glass - 8 inch is rated 5.0 out of 5 by 3. Rated 5 out of 5 by Roost from Looks Great! Looks Great! Rated 5 out of 5 by groova from Simple and stylish I bought 2 for my bathroom. We replaced our old globe lights with these. Brought the bathroom into the 21st century. They give off great light too.